OSP ART regularly represents the work of the famous Odessa artists, each time differently, in different formats (event-project "Bridges" 2013, a retrospective of works of art project "COMEBACK" 2014) and exposure decisions. It's time to present not the usual form of the next stage of creativity Valeria - themed series of works "the Housing question", which implies, as outlined by the author himself, the exhibition of the day (to be held on weekends from 3 to 5 April 2015). 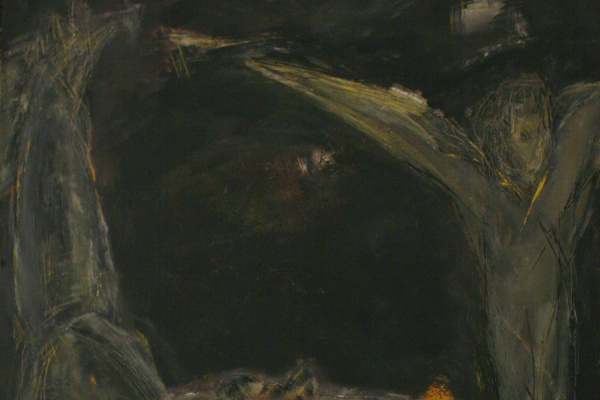 The relevance of the exhibition emphasizes the concept and the subject of paintings by Valery Uchikawa, echoing with the upcoming holiday of the Resurrection of Christ (Easter). 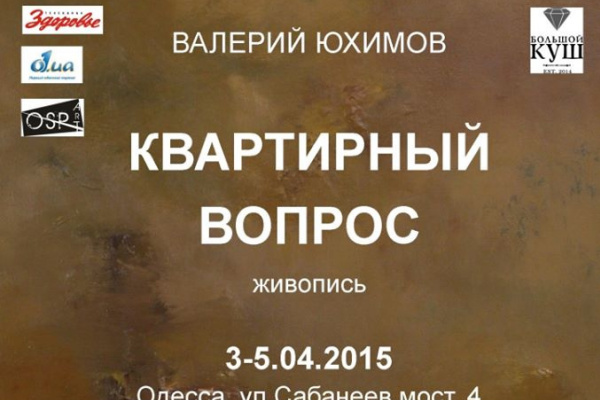 The exhibition will be held in the space Odessa House of scientists, street Sabaneyev bridge 4. Presented at the Odessa House of scientists exhibition of paintings by Valery Uchikawa draws the viewer to the classic story of two thousand years ago, the events preceding the Easter holidays, which are demonstrated on the eve of the exposition. Not about the act of crucifixion is it the artist that are defined explicitly in the title of the exhibition, where made, has already become a speech trafficking, a fragment of a well-known phrase Bulgakov's character: "...ordinary people... in General, similar to previous housing problem... just ruined...". Ordinary people, reminiscent of the old - it is not the end of biblical history, the question and the audience the author? 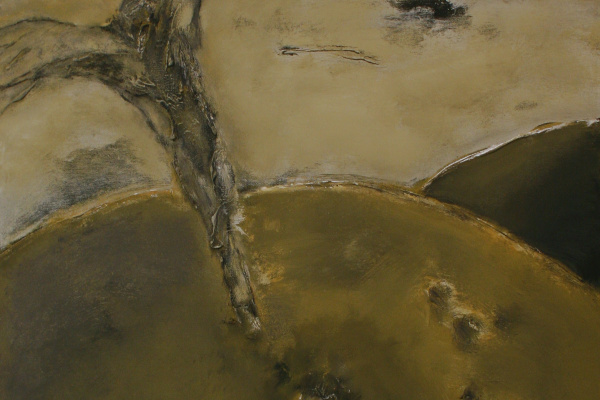 Picturesque series, a component of the exhibition, contains half a dozen of the work completed in 2014-2015 in the author's technique is low-key, understated, subtly nuanced in color, on the border of conditionality and the figurative. 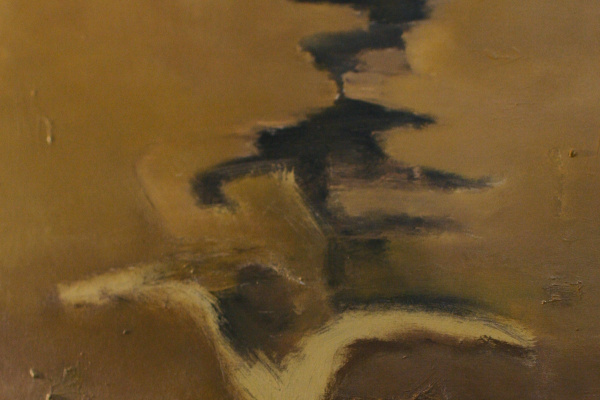 "Seriality" in the author's understanding, is evident not only in its formal features of the unity of colors, technique, format, but in demonstration of the various points of view on what is happening at the top of Calvary. The author is not limited to variations of the same solution, but recreates the dynamics, explicitly representing the scene through the eyes of different characters. 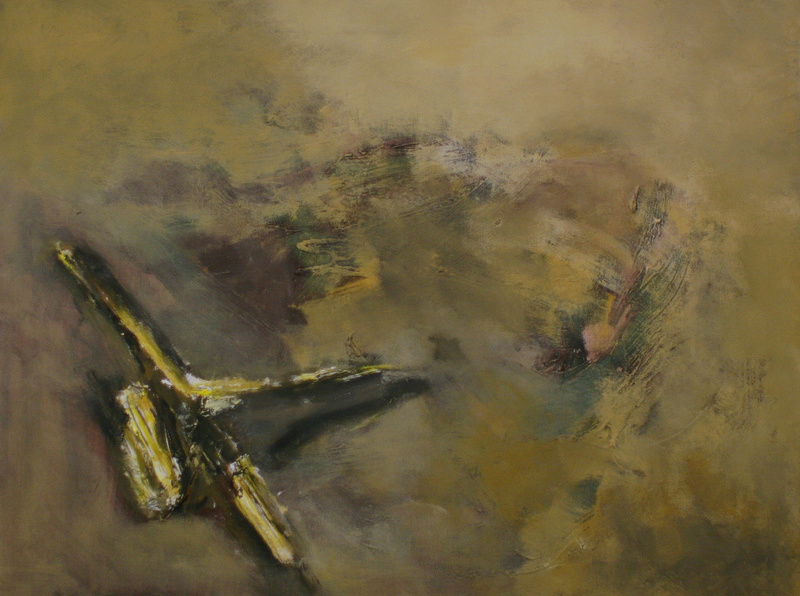 This achieves the effect of co-participation, when the viewer is drawn in the space of the canvas and, in his field of vision, his, looking from the height of the cross, " is his own body: hand stretched to the bar, chest, protruding sharply knees and, quite small, inconspicuous bottom of a figure resembling people. His gaze was not focused on them, he is all alone. Those at the bottom, past or present, lovers of money, terrible in its ongoing savagery and the fratricide of the day - whether they devoted themselves to the viewer? The painting by Valery Uchikawa is present in the collections of contemporary art collectors, foundations and organizations, was presented at various auctions, personal and collective exhibitions. The author's works are in private collections in Ukraine, Russia, Germany, France, USA, Israel, Japan.